The Civic isn’t really a vehicle that is ‘HAM friendly’ if you will, so I had to find some sort of solution that would look clean and not stand out too much. 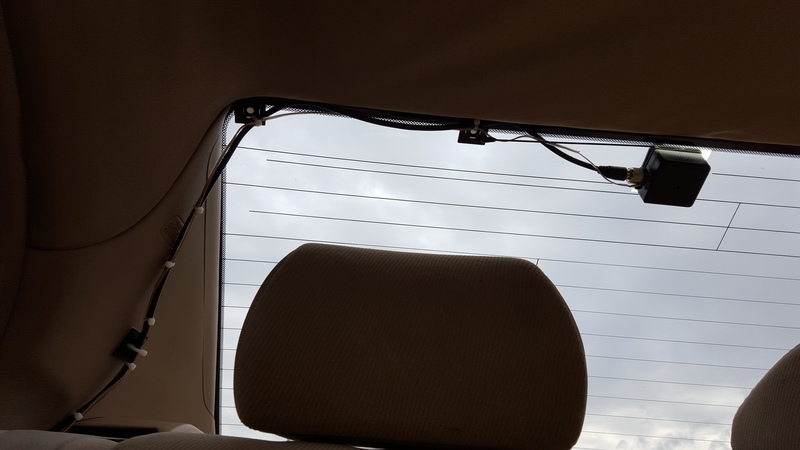 Overall I was able to come up with a nice clean install that is up to my standards and it works very well. 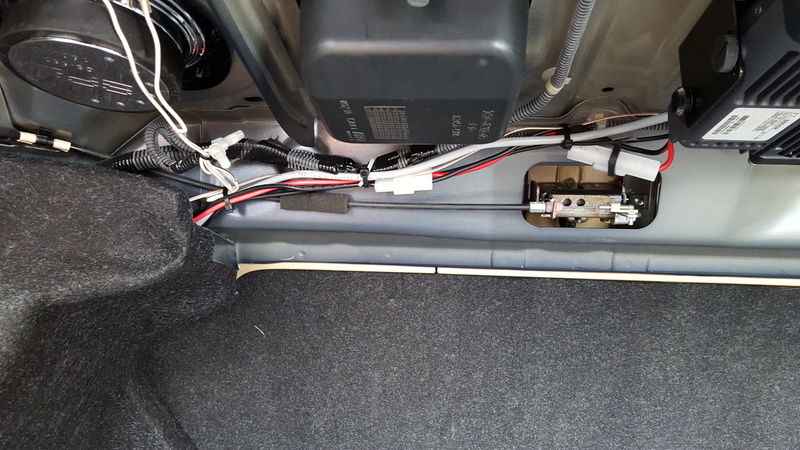 I started out with getting the main body of the radio installed securely in my trunk, up out of the way so that I would never have to worry about it again (except for what I want to program in some repeaters etc., which I can do from the back seat with a USB extension cable). 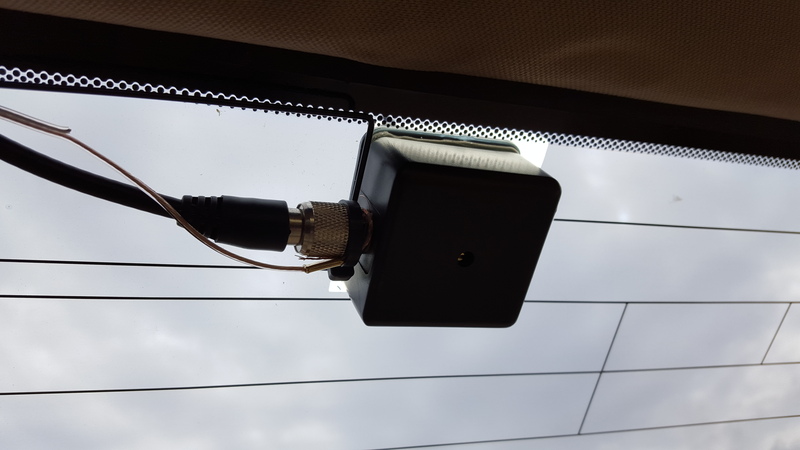 It’s important to make sure the cables and what not are secured and out of the way. I still plan to use my trunk after all! My next mission was the antenna and this was the tricky part. 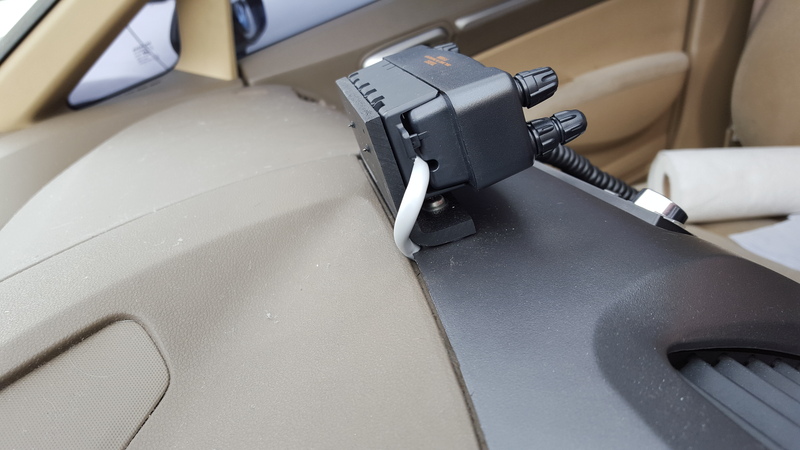 I refuse to put an antenna on my trunk (lip mount or magnet) because I use my trunk far too often to make that feasible. 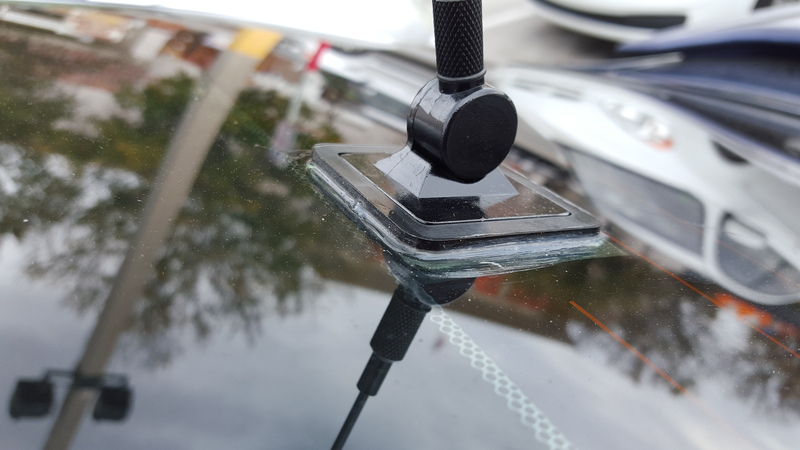 An alternative location was a magnet mount on top of the car (and for RF purposes the best location as the vehicles body would act as a ground plane), but alas I was unable to get this solution since the coax cable was too thick to ‘hide in my rear windshield grooves’ to my trunk. I finally settled on a solution that I usually frown upon, but was pleasantly surprised with in regards to performance. 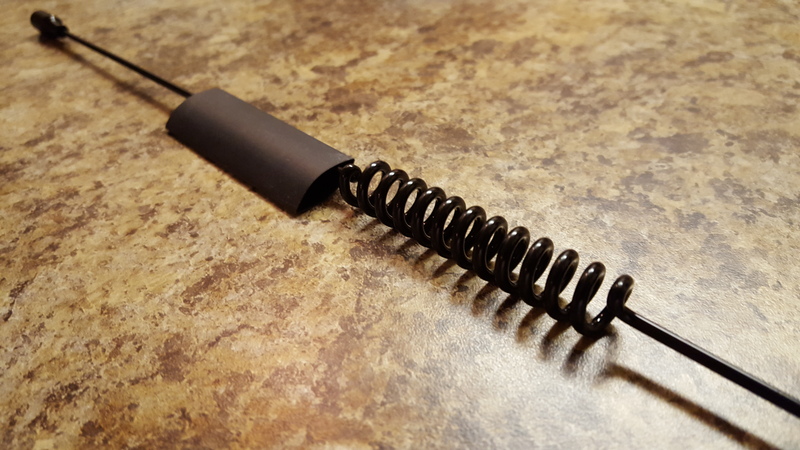 The MFJ-1734 Glass Mount Antenna. 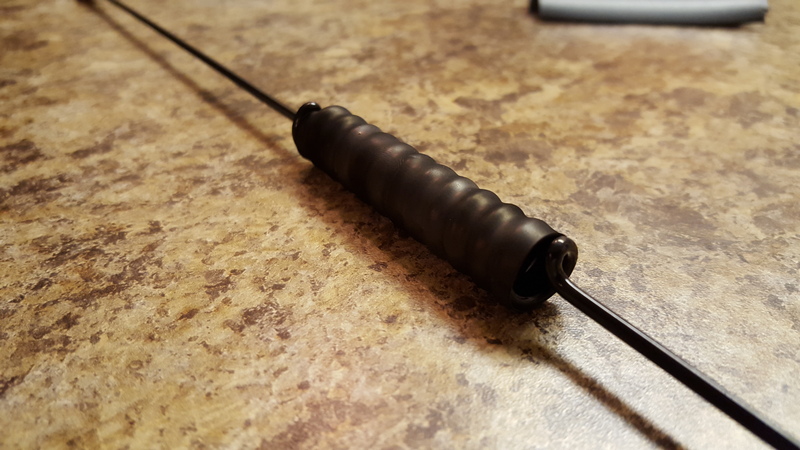 From some advice from a local HAM, I also added some clear weather proof silicon around the outer edge to help protect the 3M bonding material. Needless to say, this thing is going to be a pain to pull off if the time comes. 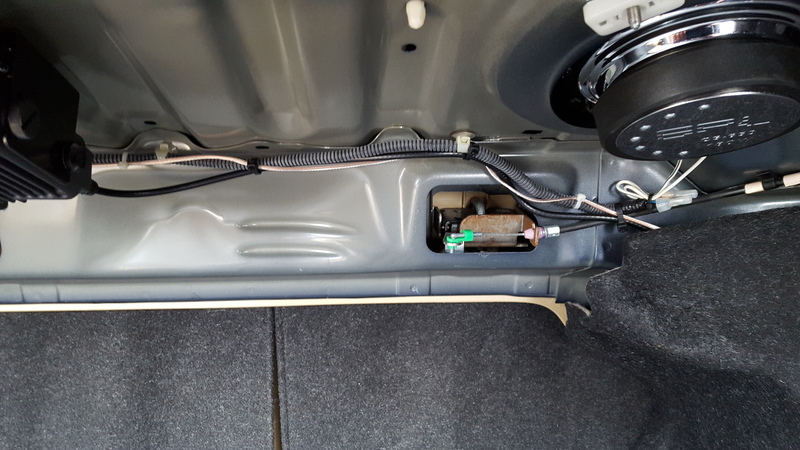 Here is a look at the inside portion and how I routed the coax and ground cable to the trunk. 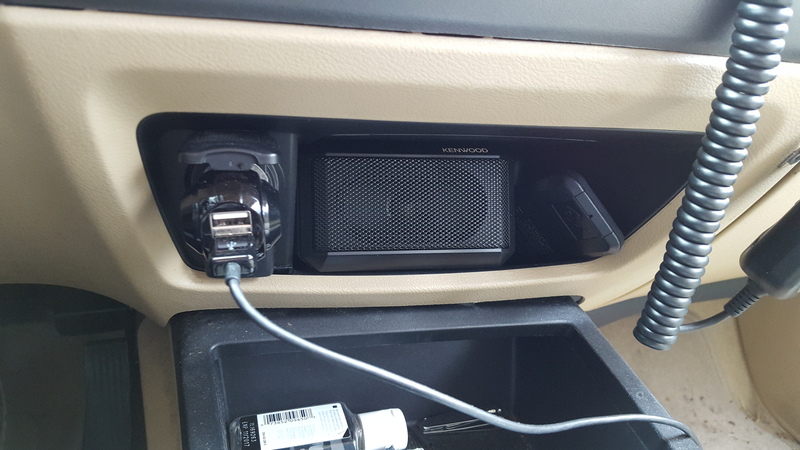 In addition I mounted the speaker up front and I was able to hide it perfectly, and the audio is great. Overall I am very pleased with this setup, and I’ve been using a local repeater located on top of the Simpsons building inside Universal Studios. 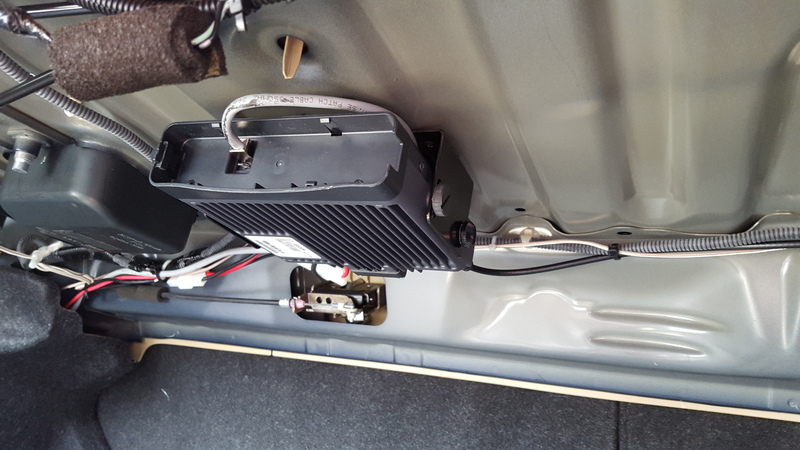 Great thing about this repeater is that its linked to a series of nodes via IRLP (Internet Radio Linking Project), so I can chat with people all over the country on UHF/70cm/440MHz! 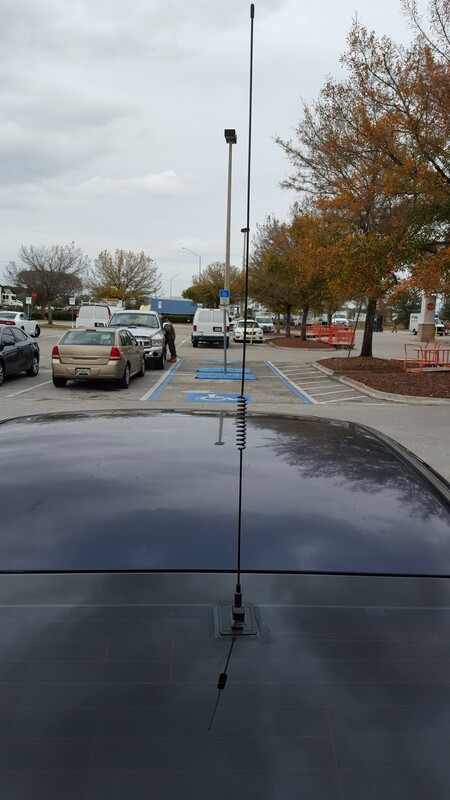 One small hiccup I’ve had is with the antenna. It has a coil located in the center, and when I got up to around 50MPH it would generate a ‘whistle’ noise. Very annoying, but luckily I was able to squelch it by putting some heat shrink around it. 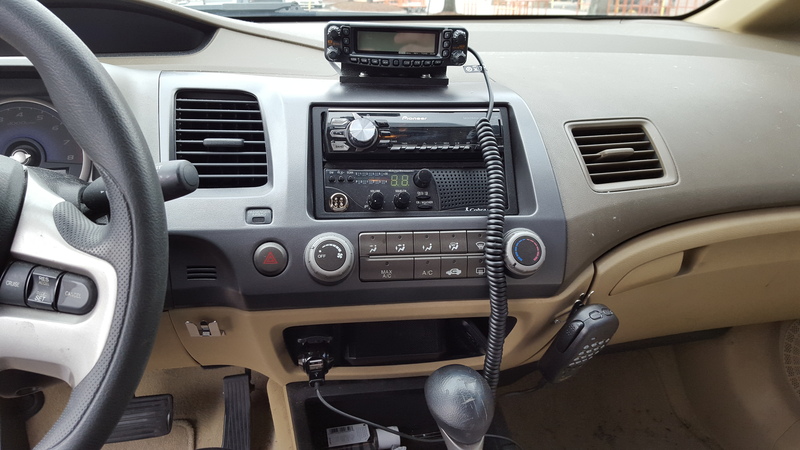 If your interested in learning more about Amateur Radio and/or want to become a HAM operator yourself, you’ll want to head over to the ARRL to get started.